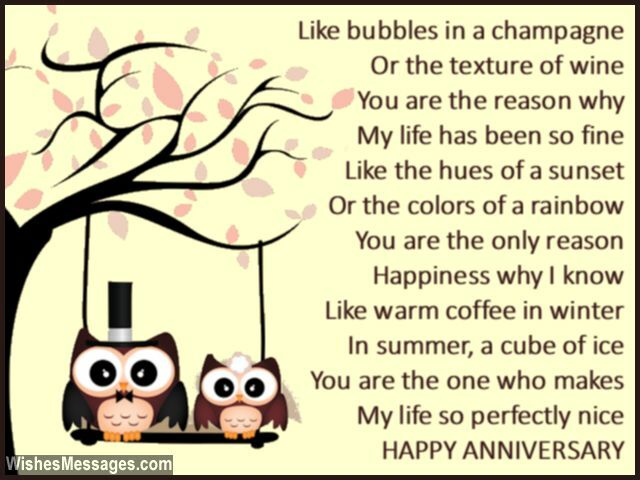 Anniversary Poems for Wife: Melt your wife’s heart by writing a sweet poem on a greeting card to wish her a Happy Anniversary. 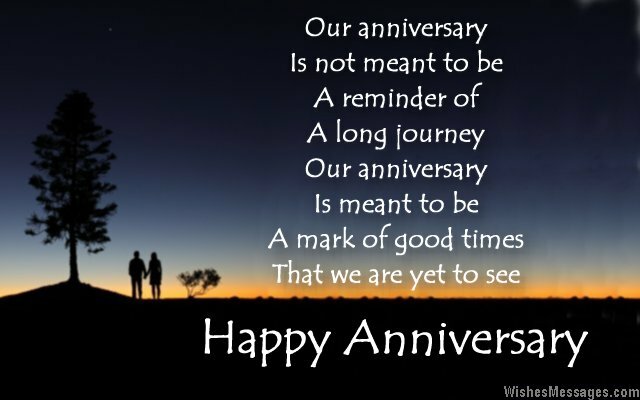 Follow it up by expressing your love on Facebook, Pinterest, Instagram or Twitter with beautiful anniversary messages and wishes. 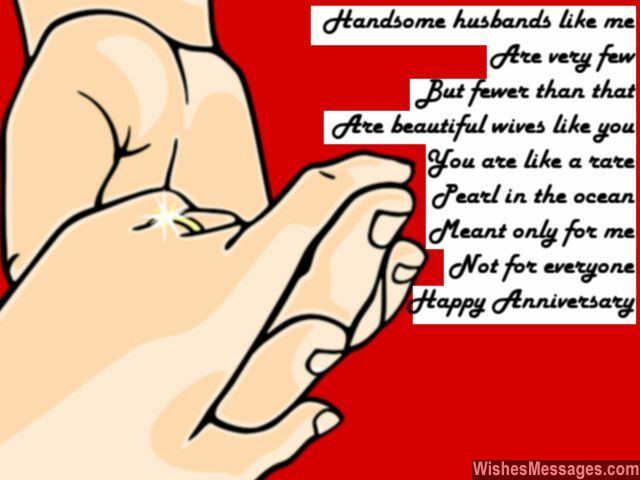 Pen a romantic quote that you can send to your wife with a customized gift. If you are feeling a little adventurous, write a funny note, cute rhyme or a flirty text to put a smile on her face. Be as creative as you can to show her what an amazing husband you are. Whether you want to sizzle up the lost romance in your marriage or strengthen the bond that you already have, weave the magic of loving words on your beloved wife.